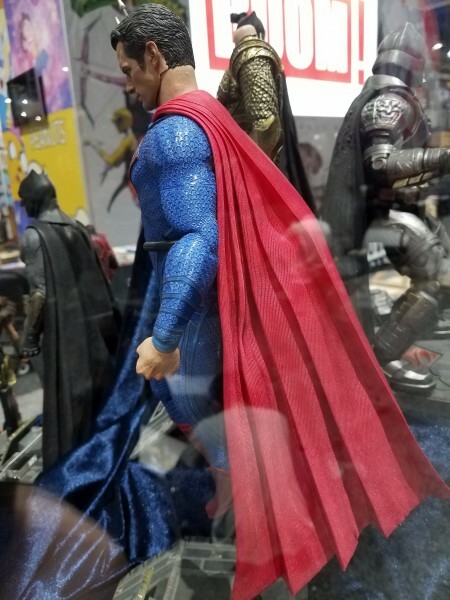 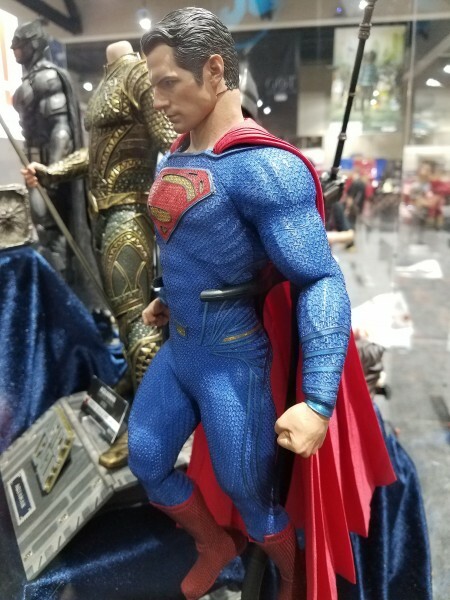 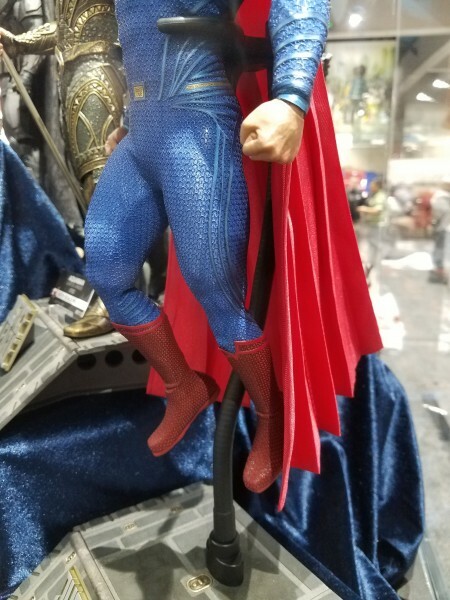 This will probably not be the last we hear of Superman during Comic Con this year, but it’s nice to see him back, even if it is currently only in Hot Toys’ plastic. 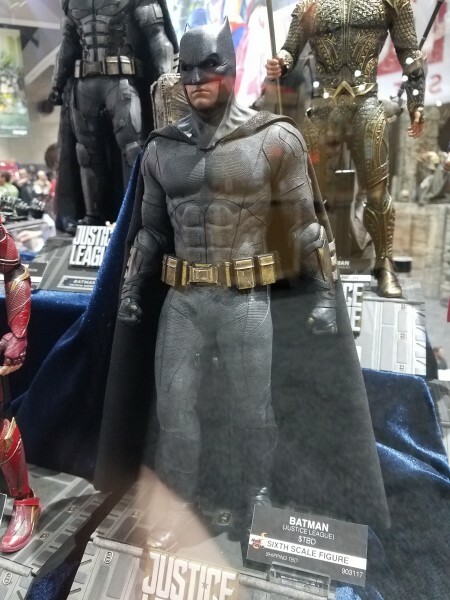 There’s no beating Hot Toys when detail and overall quality on one sixth scale figures. 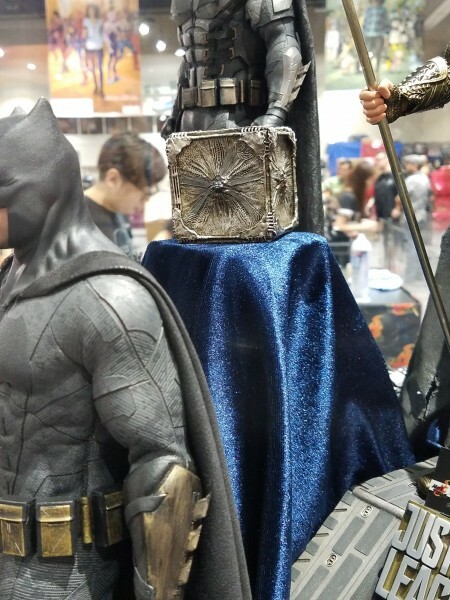 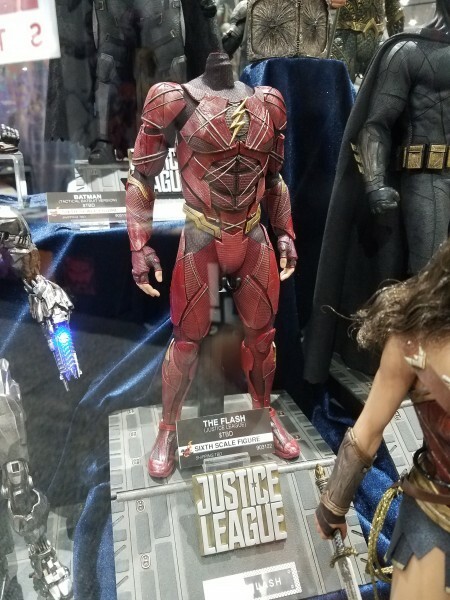 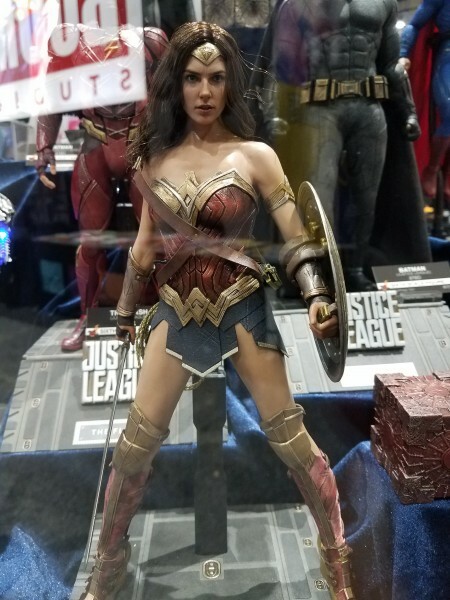 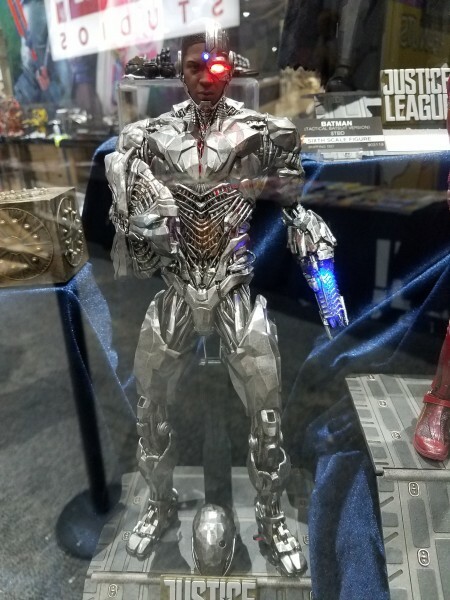 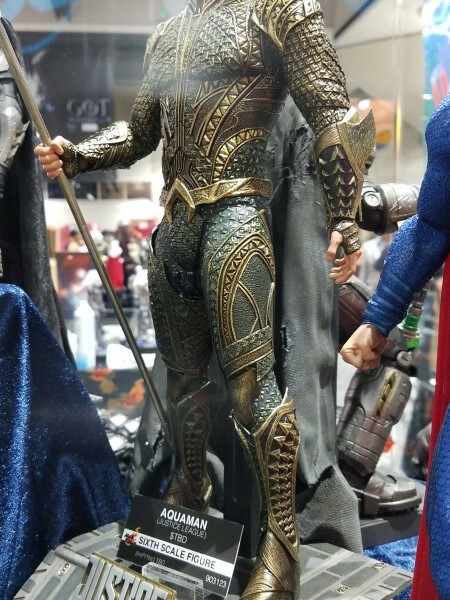 We know that the show floor hasn’t opened up yet, but we’ve already got some great pics for you from their new line of figures based off of the upcoming Justice League film. 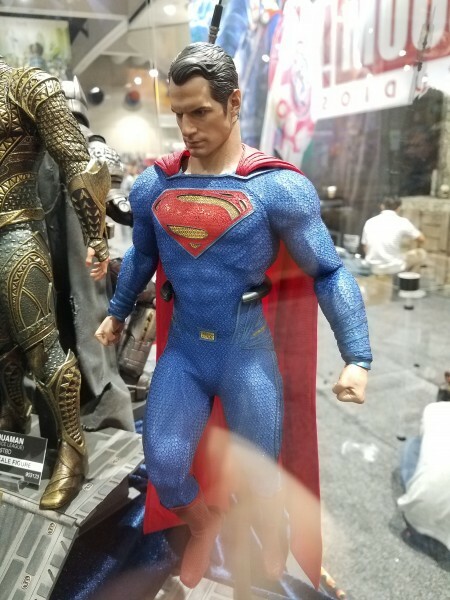 As you may notice, not all of the figures are complete (some are missing heads), but one figure that you can’t miss is Superman. 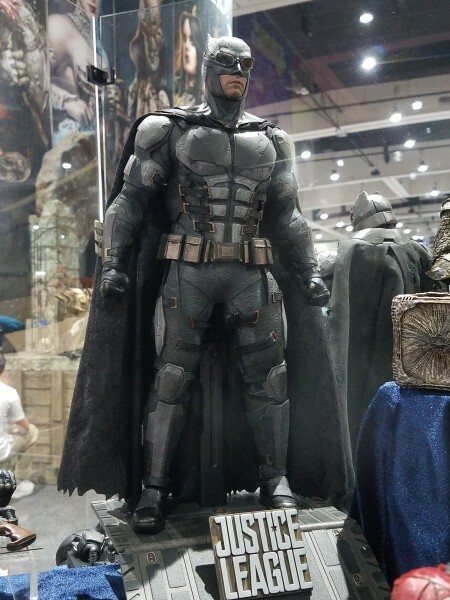 He’s been absent in all of the film’s marketing, but now it’s time to bring him out to say hello. 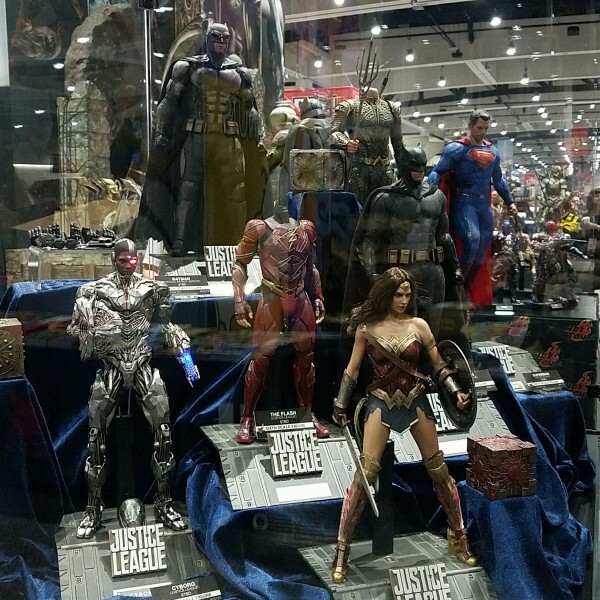 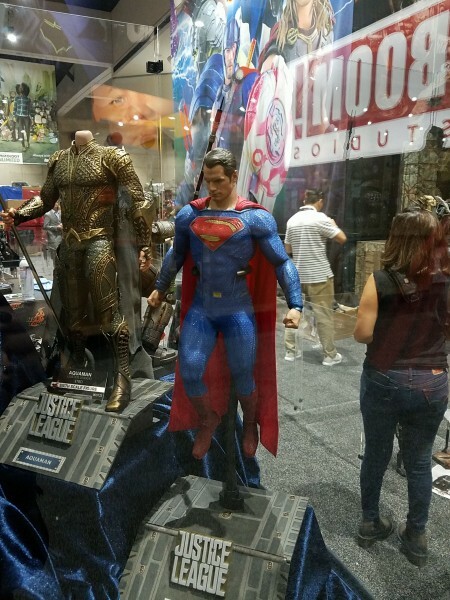 Joining him on displays are Wonder Woman, Cyborg, Batman, as well as partially finished sculpts for Aquaman and Flash. 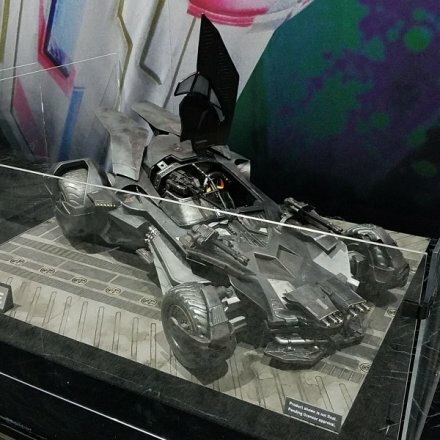 We’ve also got a great look at the new Batmobile and one of the Motherboxes that will be driving the story of the movie that should eventually lead us to Darkseid.